A Report on the School of Reasoning & Rhetoric 2018. Public Speaking. Mooting. Mock Trials. Brief / Legal Writing. Debates. Long ago, these five skills were pertinent in crafting the perfect lawyer. But no one had access to them. Then, everything changed when The School of Reasoning and Rhetoric was born. Only The Lawyer, master of all five elements, could make a difference, but when given the opportunity, he didn’t take it. Now, we have found the new lawyer, YOU. And although you know the law, you have a lot to learn before you can be called to bar. But we believe you can change the world. The School of Reasoning and Rhetoric is a brainchild of The Mooting Society, Faculty of Law, University of Lagos aimed at bringing the practical aspects of law to all the students of the Faculty of Law, University of Lagos. It was founded in 2015 to ensure that law students are equipped with skills which will enable them to become well-rounded and wholesome legal practitioners. On Saturday, 10th Of March 2018, the School of Reasoning and Rhetoric 2018 began. After an orientation by the School executives introducing the school and each of the courses to be taught, the school officially opened with its first course which was Public Speaking. This was taught by Mr. Kema Ufelle Smith, the founder of Capital Fields Attorneys Lagos and a phenomenal public speaker. It was a very exciting and engaging class. From the introduction to the drills, the students were enthralled and very excited to learn! After the class, the founder of the School, Mr. Timi Oyewo spoke to the new students about the importance of the School, the skills and application. Afterwards, Mr. Abidemi Paramole, a legal practitioner with Udo Udoma & Bello Osagie took the students in the course of Legal Writing. On the subsequent Wednesday, the tests began, with Public Speaking and the students distinguished themselves in this excellently. On Saturday, 17th Of March 2018, the School continued. The British Parliamentary Debate was taught by Mr. Timi Oyewo, founder of the School and a legal practitioner with Streamsowers & Kohn. The class was practical and very educative as members of the school were called upon to play the different roles in BP while being taught. After this, two consecutive classes on Moot were taught by Mr. Damilola Wright and Mr. Daniel Jaiyeoba respectively. They are legal practitioners with Banwo & Ighodalo and have several accolades in Mooting, locally and internationally. On the subsequent Wednesday, tests in British Parliamentary Debate were conducted and the students did very well. The tests in Moot were also conducted. On Saturday, 24th Of March 2018, The Mock Trials Class took place. It was taught by Mr. John Aga, a seasoned legal practitioner of over ten years. He currently works with Tayo Oyetibo LP. The class was very interactive and educative as he brought two perspectives to the course; Mock Trial Competitions & The Practice Of Law. It was a wonderful learning experience. Subsequently, tests for Mock Trials were conducted and the students did well. On Saturday, 7th Of April 2018, the final course of the School of Reasoning & Rhetoric was taught. It was the Karl Popper Debate class and it was taken by Mr. Jones Ayuwo, an exceptional public speaker and legal practitioner at Bamidele Aturu & Co. It was a very interesting class and the students learnt a lot. The tests were conducted on the subsequent Wednesday. On Wednesday, 18th of April 2018, the School of Reasoning & Rhetoric 2018 held its Closing Ceremony. The special guests in attendance were Chief Godwin Kanu Agabi SAN, a former Attorney-General and Minister of Justice of Nigeria; Professor Ayodele Atsenuwa, the Dean of the Faculty of Law, University of Lagos and Mr Uchenna Njoku, a legal practitioner at Kanu Agabi Chambers Lagos. The programme began at 1 o’clock, with the opening prayer by Pius Bankong, the Vice President of The Mooting Society. Afterwards, the Director General Of the School, Esther Joseph gave her welcome address congratulating the graduates of the School for completing the courses and passing excellently. Subsequently, the Dean gave her address. She spoke on hard-work, perseverance, the use of reasoning and rhetoric as a lawyer and making the school public. The Special Guest of Honor, Chief Kanu Agabi SAN gave his speech, advising the graduates and law students to put God in all they do, have passion for the law, humility and take up reading books because knowledge is power. Mr. Uchenna Njoku also advised the students to practice all they have learnt and focus on the use of the English Language as it is important in the legal profession. Certificates of distinctions were awarded to the graduates and cash prizes were given to the awarded graduates by the Special Guest Of Honor, Chief Kanu Agabi SAN. The new executives of the School of Reasoning & Rhetoric for 2019 were announced by 2018’s Director General. They are; Nelson Iheanacho, Head Of Secretariat; Titilope Adedokun, Head Of Conference Planning; Amirah Rufai, Head Of Research and Ogaku Kanu Agabi, Director of the School of Reasoning & Rhetoric 2019. This was followed by the Vote of Thanks by the President Of the Mooting Society, Ogaku Kanu Agabi. After this, the graduates of the School were given their results and awarded their certificates of participation. The volunteers of the School were also recognized and given certificates of participation. Thank you guys so much for the School. It was an amazing experience. Honestly, I’m speechless. Thank you so much, everyone that contributed to the success of the School. It was indeed a wonderful experience and training. We are grateful for the effort and excellence put in. I’ve actually learnt so much during this period. I’m just glad I was able to participate in SRR because, before it, I always thought I could never speak in public or do anything apart from being good at my books. But now I’m happy that I’m more than just my books now and that I can actually do the things I thought I couldn’t do. So thank you guys so much, God bless you, God bless you beyond your expectations. 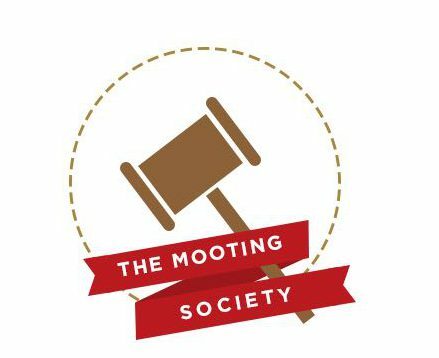 I want to say a big thank you to the Executives of the School of R&R and of the Mooting Society. The Closing Ceremony was really amazing. I’m sure everybody in attendance gained a lot. Congratulations on a job excellently and amazingly done. Congratulations to everyone. I am really delighted with all I have seen regarding the School this year, great job guys, keep it up. Check out our Instagram page: @lexgemot (Highlights) and twitter page: @lex_gemot for Videos and Pictures from the School of Reasoning and Rhetoric 2018. Please, share your moments with us using the hashtag #SRR2018 on social media.